Kathleen Frances Theodosia Bland (born 19th September 1904) was Brig.Gen. William St Colum Bland’s daughter. Her mother was Ellen Kathleen Bland, her sister was Margaret Alice Bland. 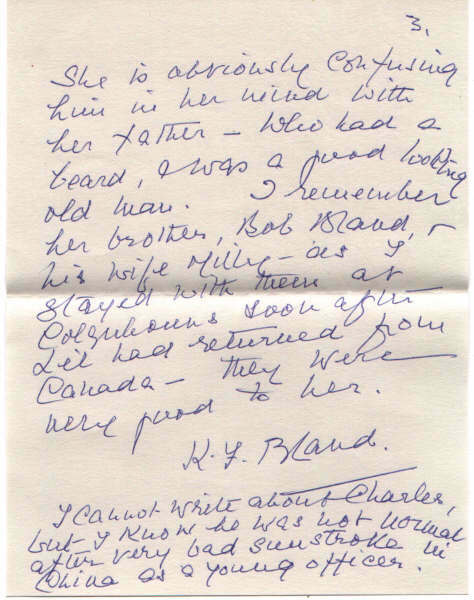 Lilian Bland wrote her memoirs in later years and Kathleen is commenting on them. There is no date on the letter and no recipient’s name. The letter was hand-written in blue ink. 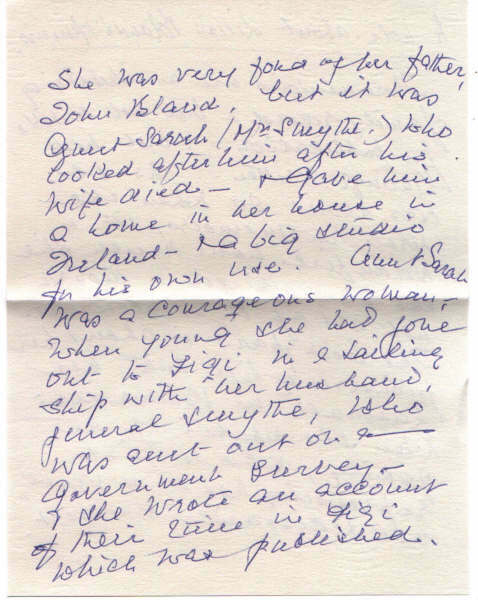 Transcribed from the handwritten original by John Madden in Canada. “These memoirs are an interesting family record – but not suitable for publication – and not well enough written. As she was about 80 when she wrote her memoirs, it is wonderful how much she has remembered – though not all of it is accurate. 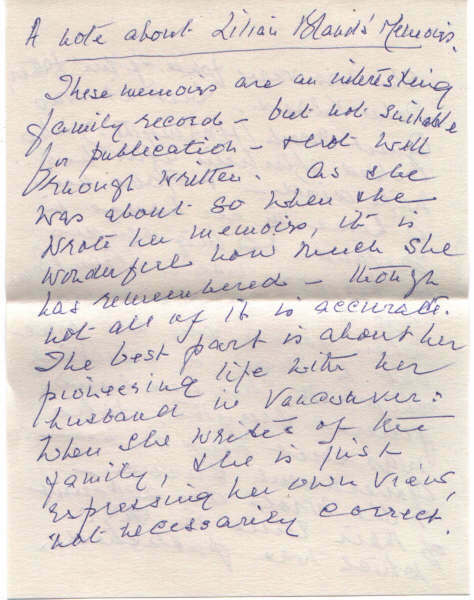 The best part is about her pioneering life with her husband in Vancouver & when she writes of her family, she is just expressing her own views, not necessarily correct. She was very fond of her father, John Bland, but it was Aunt Sarah (Mrs. Smythe) who looked after him after his wife died – and gave him a home in her house in Ireland – and a big studio for his own use. 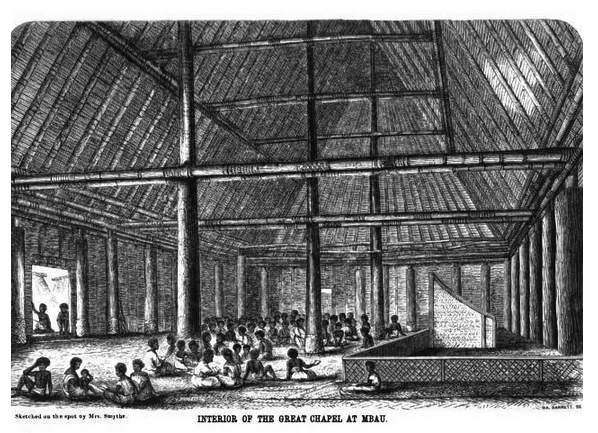 Aunt Sarah was a courageous woman – when young she had gone out to Fiji in a sailing ship with her husband, General Smythe, who was sent out on a government survey, and she wrote an account of their time in Fiji which was published in 1864. Mary Bland, General E. L. Bland’s eldest daughter was not wholly a tyrant! She looked after both her parents to the end of their lives – (her father lived to be 92). She kept open house at ‘Woodbank’ for all the family – who often came for long visits – children, nurses, governesses, dogs and all! 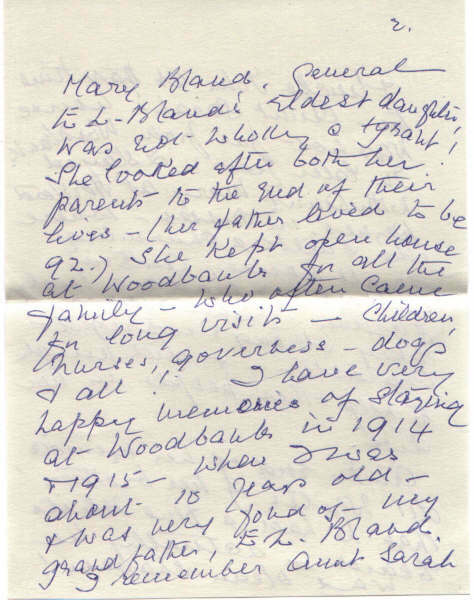 I have very happy memories of staying at Woodbank in 1914 and 1915 – when I was about 10 years old – and was very fond of my grandfather, E. L. Bland. I remember Aunt Sarah and Uncle John at that time too. 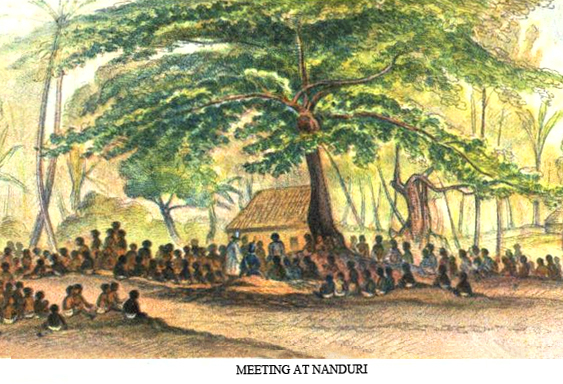 Aunt Sarah’s house was not far from ‘Woodbank’. In later years I stayed with Aunt Mary at Horsted Keynes in Sussex, where she built a charming small house, ‘Antrim Cottage’ and made a lovely garden. She was a very strong and upright character, and did much to help other people in her life. 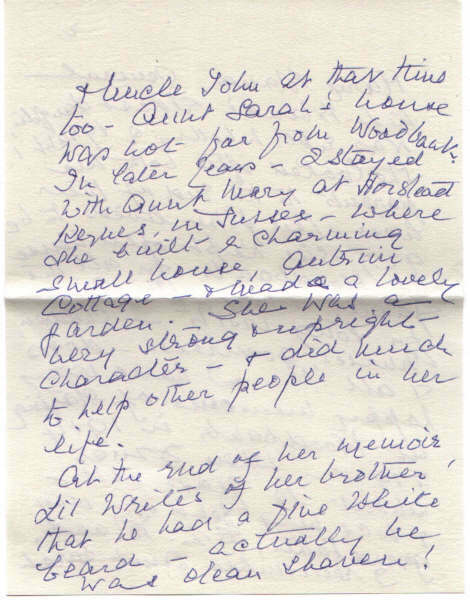 At the end of her memoir Lil writes of her brother that he had a fine white beard – actually he was clean shaven! She is obviously confusing him in her mind with her father – who had a beard and was a good looking old man. I remember her brother, Bob Bland and his wife Millie, as I stayed with them soon after Lil had returned from Canada – they were very good to her.